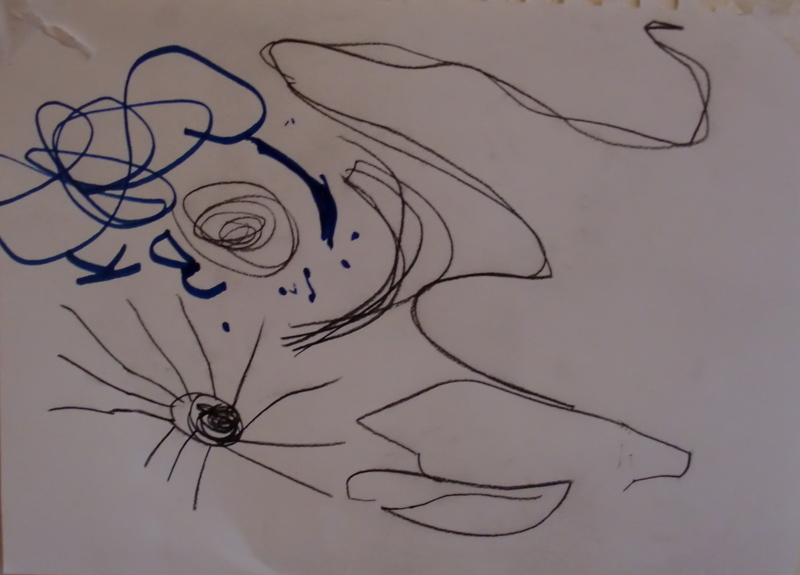 My kids love crafts, but for the past couple of years, my eight-year-old has been very resistant to anything labeled “art,” especially drawing. I think it has to do with perfectionism. No idea where she got that. My efforts to get her on speaking terms with the world of art have only increased her resistance, which left me feeling awful. But I didn’t despair and have continued to look for programs that might bring the joy of art back to my girl. 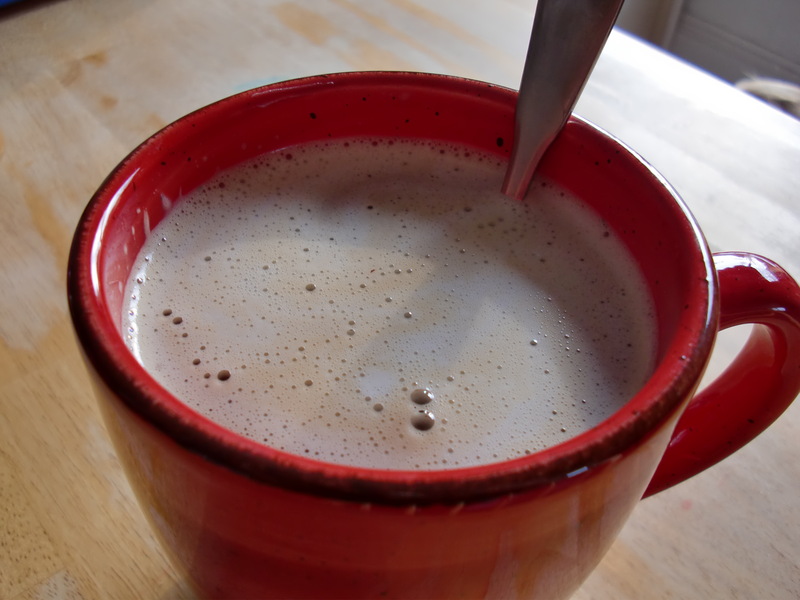 Recently I discovered a series of free online art lessons by Sharon Jeffus called Art Through the Year. The program and the projects looked fun and different from the other things we’d tried, so the kids and I gave it a whirl. Each lesson consists of a ~30-minute video about a certain period in art history, or a certain technique, with printable instructions for projects that go along with the lesson. The topic for Lesson 1 was “Post-Impressionism and Line.” Jeffus showed and talked about paintings by Cézanne, Seurat, Gauguin, and Van Gogh, and we learned about pointillism, line, and techniques for using oil pastels. 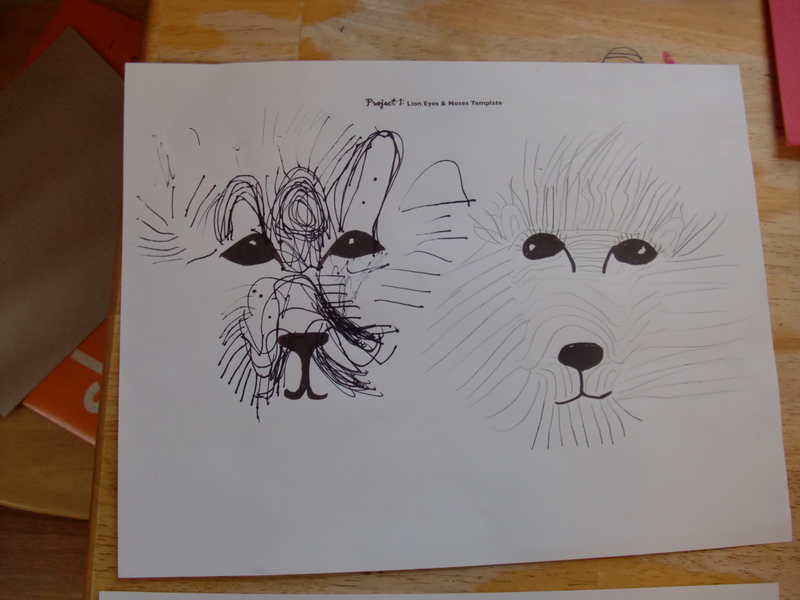 My four-year-old son’s lion (his sister did the one on the right). 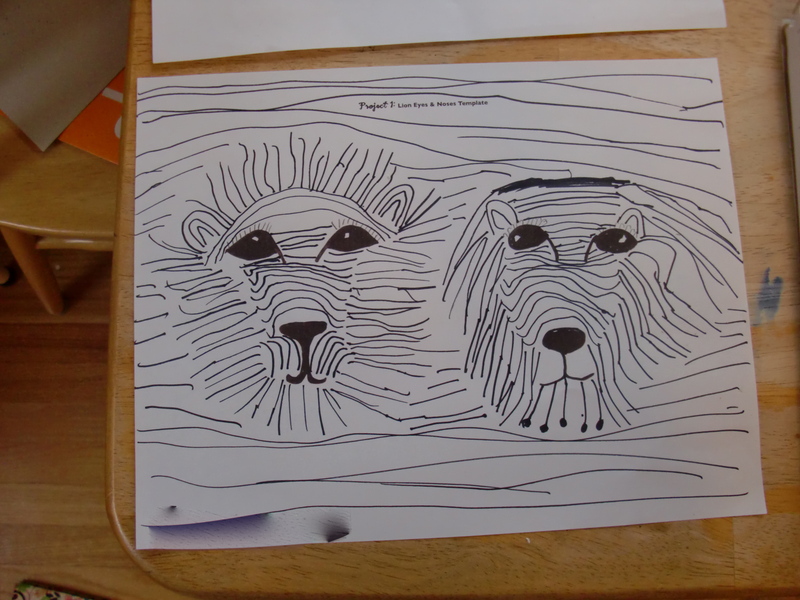 There were two projects for this lesson, a lion drawn with lines and our own mixed-media rendition of Van Gogh’s The Starry Night. My children liked the lesson, and they loved the projects. 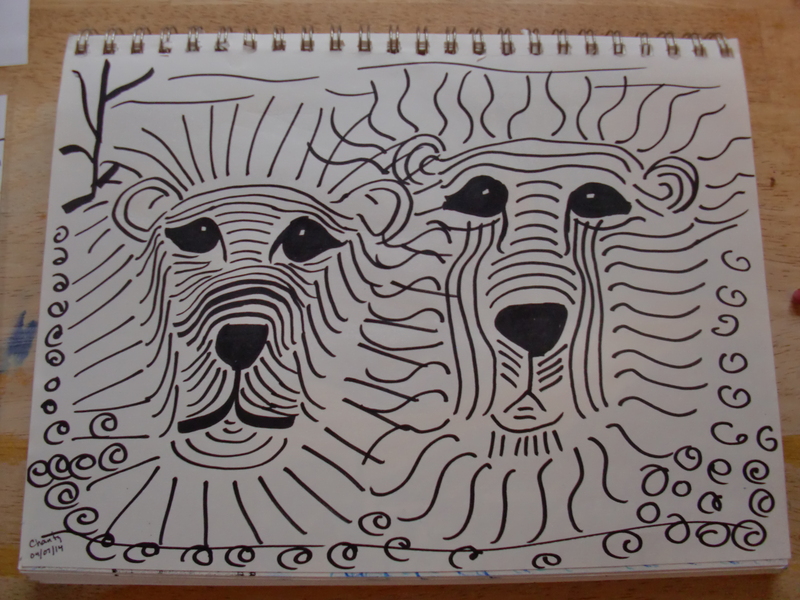 My lions (I’m thirty-seven, since I told the kids’ ages). I think it helped that the lesson was a video—my kids are so video-deprived, they’re happy to watch anything on a screen, but I was impressed with the quality of this video, especially since it was free. Jeffus used some different pronunciations for Seurat and Cézanne than I’ve heard before, but since I embarrassed myself by saying “facade” with a hard “C” more than 20 years ago, I don’t feel confident about the pronunciation of any French-derived words anymore. I knew who she was talking about, so no biggie. The pacing of the video was good for us, and I liked that Jeffus left a spot after she described the first project for the kids and me to pause the video and do that project before watching the explanation for the next. While doing the projects, my kids didn’t lose their cool, they didn’t hit each other, and they worked on their projects for longer than I expected, given their prior irritability around any directed art projects. 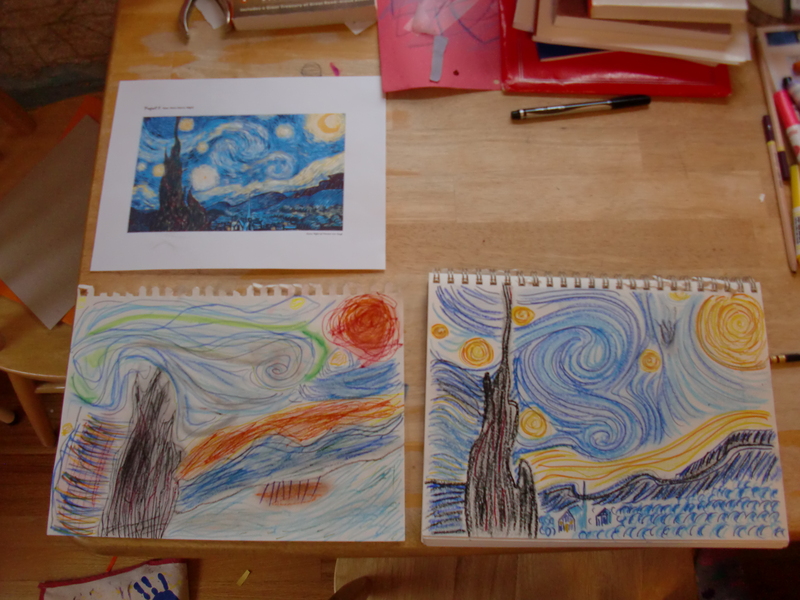 Our thirteen-year-old neighbor came over and did the Starry Night project with us, but she left before I had a chance to photograph her picture. Top: Van Gogh’s Starry Night. Bottom left: My daughter’s Starry Night. Bottom right: my Starry Night. We didn’t produce any amazing works of art, but we all had a blast, which is all I was hoping for. Both kids can’t wait for Lesson 2, “Shape & Shading with Pumpkins”!